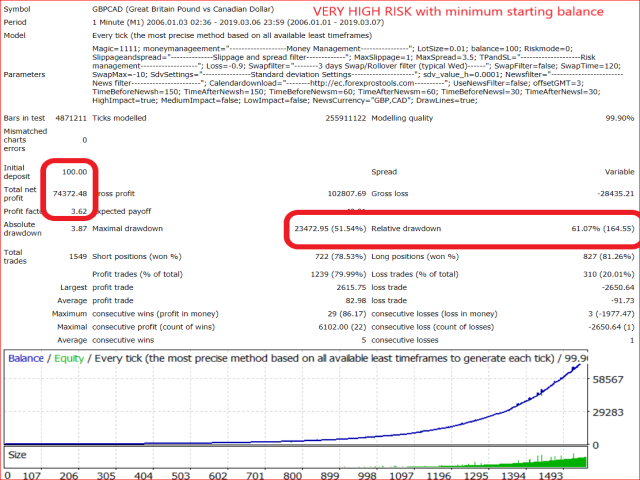 Revolutionary hybrid grid: more than 13 years backtest with starting balance as low as 100 dollars - VERY IMPORTANT TO BACKTEST DEMO: please read backtest instruction or ask via PM. The HIBgRID is a Hybrid Grid EA based on the mean-reverting characteristics of the pair GBP/CAD during low volatility and low volume period. 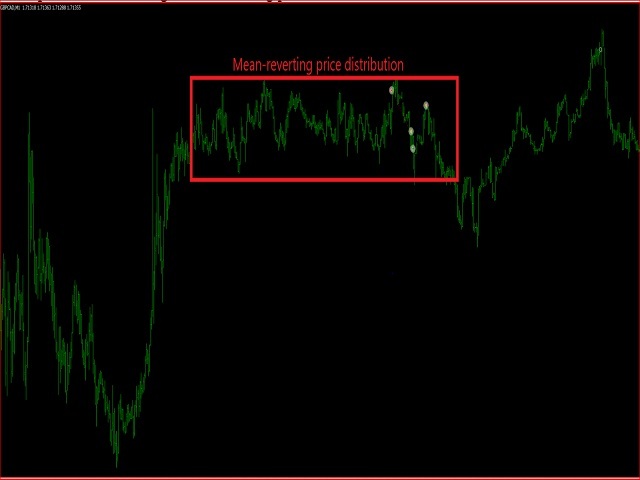 The EA utilizes the mathematical principles of a Ornstein–Uhlenbeck process to identify trades with success probability higher than 85%. After a trade is opened, if the price behaves following the mean-reverting process the EA will calculate a target profit and close the trade. 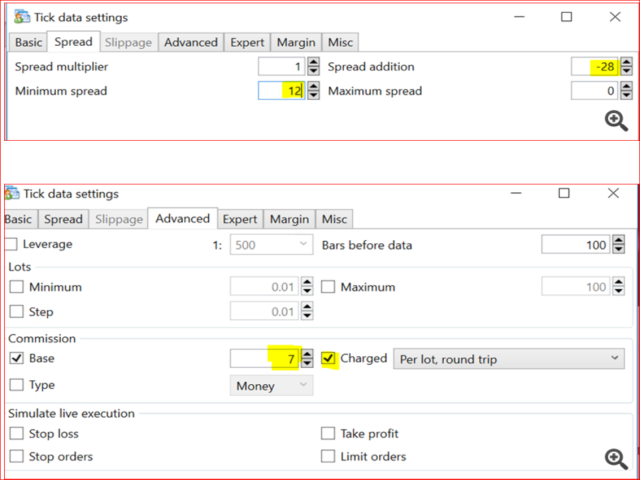 In case the price behaviour turns out to be not mean-reverting the Risk Manager will close the trade at a lower profit target or even with a small loss. If the Risk Manager does not identify evidences of a non mean-reverting time serie the EA will open recovery orders up to a maximum of 4 open orders. The EA utilizes a proprietary grid logic with light lot size increments in order to minimize drawdown and risk exposure. The minimum investment is 100 Dollars with Very High Risk. 300 dollars for standard settings. Lot size: Standard settings 0.03. For balance:	Standard settings: 1000. Balance used to calculate lot size. Max allowed Draw Down	Standard settings -0.25	as a factor of the current balance. In case the equity drops below this threshold the EA will close all orders as a capital protection measure. As en example, balance is 10.000, Max allowed draw down is -0.2, this means that if the equity goes below 8.000 the EA will close all open orders. VERY IMPORTANT: respect the standard ratio Lot/MaxDD: If your want to set your max risk at 10%, then use 0.01 lot per 1000 and max draw down -0.1. 3 days swap/rollover filter	It is recommended not to trade against the three days rollover (usually between Wednesday and Thursday night for the majority of brokers). As the spread plays an essential role in the real performance and it is used also as a volatility filter especially before rollover/swap charge and during strong price movement, only a tick by tick, 99% accuracy variable spread test has a statistical meaning. Please avoid testing with fixed spread as it is worthless. This EA is suitable for patience and non greedy investors capable to deal with potentially large drawdowns. Although the backtest surpassed 13 years without a major loss (99% accuracy, variable spread, 7 Dollars round trip commission and current swap), like any grid system the EA can and WILL FAIL, therefore the standard capital protection settings will close all orders when the Drawdown exceeds the 25% of the balance. This can be customized in accordance with the risk acceptance of the investor. In case of a 20% loss the EA is designed to recover in less than 300 days unless a second loss occurs before the recovery is completed. Do not use demo or cent account as they are meaningless for this type of trading. The Best support from the author, I`ve ever get from the mql5 group. He is taking care about the product, strategy and etc. Definitely, I suggest to others! Author is very engaged and the strategy looks very promising. I will update my review in a few months with my results. Good back test I will try it live and update my review in a few months. I'm pretty excited! I do not pur many reviews but this product seems to be really excellent. 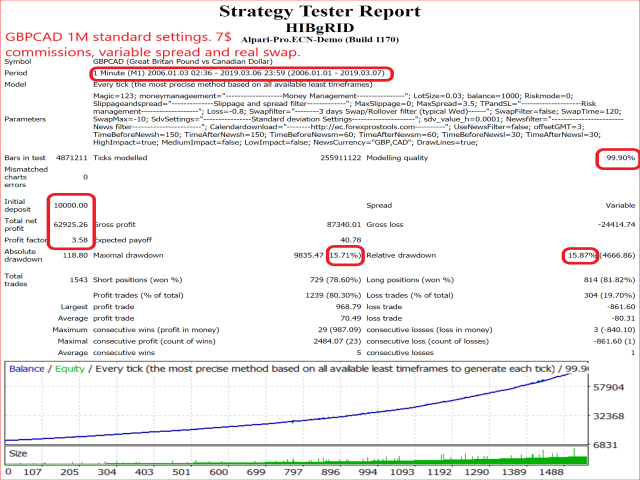 Backtest is impressive and live account seems to be same as backtesting. Will go live tomorrow adn update my review soon. I tested even with 100 dollars and the grid surpasses 13 years...wonderful! Changed the way recovery orders are opened and closed. Not recovery orers are created as pending orders. This will make the EA more solid with certain brokers like ICMarkets. Added parameter "max number of recovery orders". Standard setting 4.